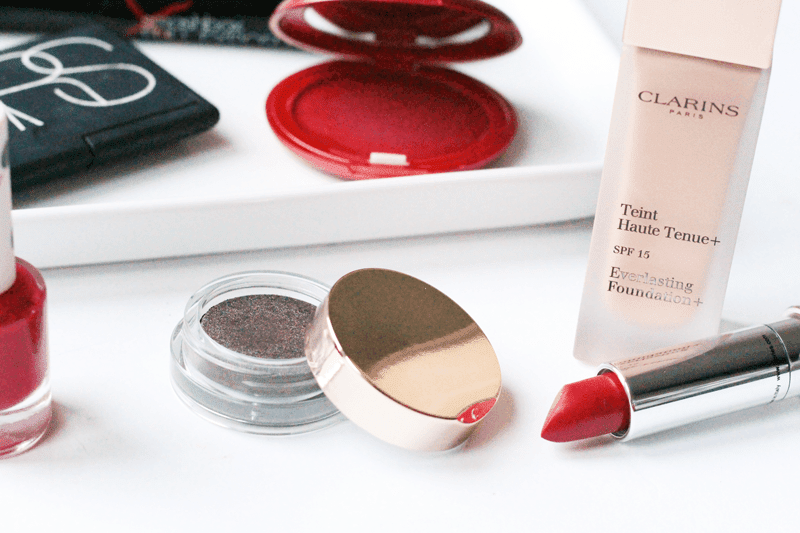 For a base, I’ve been trialling out the Clarins Everlasting Foundation and it’s one that I highly rate. I’ve been wearing it a lot to work, as I know I’ll be out of the house 8am-6pm and it really does stay put, only having to (lightly) powder after around 8hrs on my combination skin. It offers medium coverage, blurs imperfections well and gives a sort of satin finish, as it’s not glowy yet not matte. Very natural looking! I’ve been matching my lips to my cheeks and I’ve opted for vibrant raspberry red tones recently. I love using Stila Convertible Colour Colour in Poppy, as, despite how scary it looks, it’s a natural just-been-for-a-walk-in-the-cold kinda flush. Teaming this with & Other Stories Lipstick in Luxor Red, which I picked up in London, it’s the perfect combo! This lipstick glides on like a dream and leaves a great stain when it faded too (which you can see here), so you don’t get that weird ring around the outside of your lips. The formula is hydrating and the dark cherry red (with a touch of pink) it’s a beautiful one on! I unintentionally matched my nails to all of this recently too, as the Topshop Nail Polish in One Hot Minute (not online, but probably still instore!) has become a favourite of mine again. It’s a pretty, medium toned pink/red and two coats make for a solid colour. I’ll definitely be wearing this right through spring! On my eyes, I’ve been using a combination of three products. First is the Clarins Ombre Matte Eyeshadow in Sparkle Grey as a base, as it’s a great cream-to-powder formula and a gorgeous shimmering shade. Over this, or just in the crease, I’ve been using some of the shades from the NARS …And God Created The Woman Palette. This is a makeup bag perfect palette with some great neutral shades in there, I even use them for my brows! Perfect all round. Finally, I’ve been reaching for the Smashbox Full Exposure Mascara a lot recently, as it gives amazing every day lashes. As mine are already long, I look for mascaras that give fullness and separation and this does that to a T (though it’s lengthening too, if I’m honest!) without looking like I’ve got falsies on. 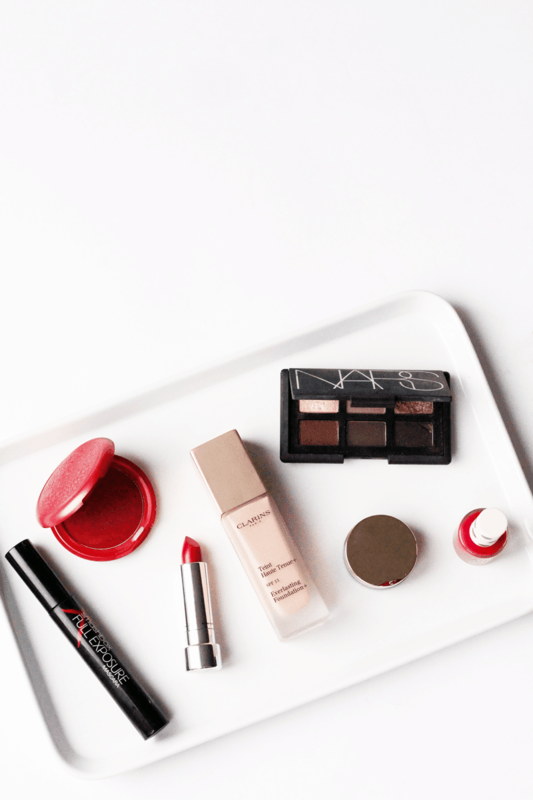 So they’re the makeup pieces which have had the front seat in my makeup bag recently – what have you been loving? Let me know and check out my blog sale too!